Two themes I've been emphasizing lately are preparedness and resilience. Nobody knows when a recession will arrive, what will trigger it or how severe it will be. We can all be confident that one will occur, however, so the more important question is one which we can impact. How can companies position themselves for success regardless of the economic backdrop. With that emphasis, here is a recap of some significant headlines from the past couple weeks. On the one hand headlines touted "Full Employment" in the US as the President presented the latest employment stats as a proxy for economic strength and resilience. 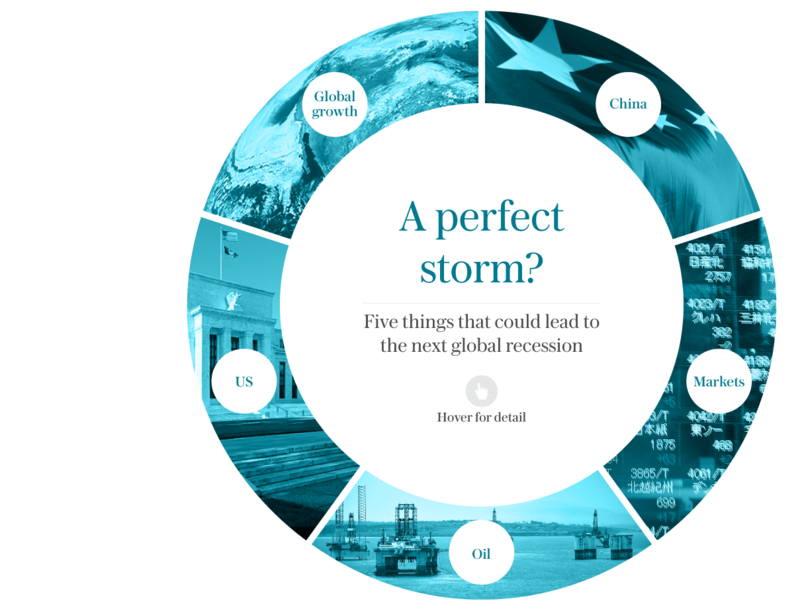 the UK Telegraph picked up on analysis from Thomas Thygesen of Sweden's SEB economic think tank which questioned how severe and immediate the certain downturn will be. Bloomberg quoted Italian Prime Minister Matteo Renzi as saying “The EU is like the orchestra playing on the Titanic." in her semi-annual testimony to Congress, Fed Chair Janet Yellen said "We've not yet seen a sharp drop-off in growth, either globally or in the United States, but we certainly recognize that global market developments bear close watching." From Geopolitical Futures, some dire warnings about China "we are past the question of whether the Chinese will have a hard landing or soft landing. The Chinese have landed. And the reality they live in includes a yuan no longer under their control, shrinking reserves, capital flight and growing – perhaps even surging – unemployment. This is no longer an economic problem. It is now a political problem, where the issue is not how to avoid a crisis, but how to live with the new normal. They passed the point of no return when the reserves had to be used to protect the yuan and buy essential goods. And even that didn’t control unemployment." Add to all that additional layers of uncertainty regarding the statistics and it gets even tougher. For instance there's skepticism growing around the "Birth/Death" adjustment and "population control effect" to employment stats in the US. Those concerns mirror others about "hedonic" adjustments to inflation - analysts question the methodology before they even interpret the numbers. And in China the head of the country's official statistics agency has been ensnared in a growing corruption probe. Bottom line? Nobody knows - that includes you, me, your banker, accountant and investment advisor. It also includes your competitors, prospects, customers and vendors. And when the downturn comes, some companies will be devastated, many will muddle through and a few will thrive. You can't control the economy - but you can control which group of companies you'll be counted among. I wouldn't want to be selling oil rigs right now, but across most sectors industrial investment won't simply cease. Buyers may be more careful, decisions a bit slower, competitive pressures great, and decision criteria may hew toward flexibility and savings - but companies still do business. Those are now truisms of B2B revenue growth - independent of background conditions. And that's incredibly powerful - because it means that the approaches to consistent, stable, scalable revenue growth are identical during up AND down markets. Said differently, it's easy to prepare for a downturn, simply by taking the steps you should be taking anyway. The proactive approach creates growth - it doesn't spastically chase it in desperation as activity seems to wane! And take a hard look at receivables insurance. I normally explore this in the context of export/foreign receivables, but private sector providers (Coface, Euler Hermes) offer programs for domestic coverage unlike the US Ex/Im Bank which only provides coverage for foreign receivables. How does all this fit? I'm a management consultant. I work with companies on growing revenues profitably. Sometimes people think of me as a digital marketing consultant (not an agency) - and they're right. Others think of me as a global expansion consultant - and they're right too. But as I work with companies, our conversations range from reducing tax rates on export sales, through enhancing their business valuation and hiring the right sales team & CFO, to recognizing unseen risks and opportunities as in the credit risk example above and IoT/3D manufacturing. The consulting I do focuses on improving a company's condition - not CYA/insurance type report writing to validate a choice that someone's made. I challenge ideas and welcome a challenge to mine. If you wonder where your strategic and revenue growth blind spots are, let's have a conversation. Maybe there's potential for us to work together. Here are examples of outcomes for my clients. Call me (+1 978 238 9898), email me or submit the form below.